*All Operation SnowSports programs are FULL for Winter 2019. Email Carolyn at [email protected] to be placed on the email list for future program information. Operation SnowSports is YES’s flagship program. Each year, YES takes more than 800 youth downhill skiing, downhill snowboarding, and cross country skiing from December through April. All Operation SnowSports trips include an equipment rental, a lift ticket, a bus ride to one of New England’s best skiing locations, and a ski/snowboard lesson. Is your child a beginner level skier or snowboarder? 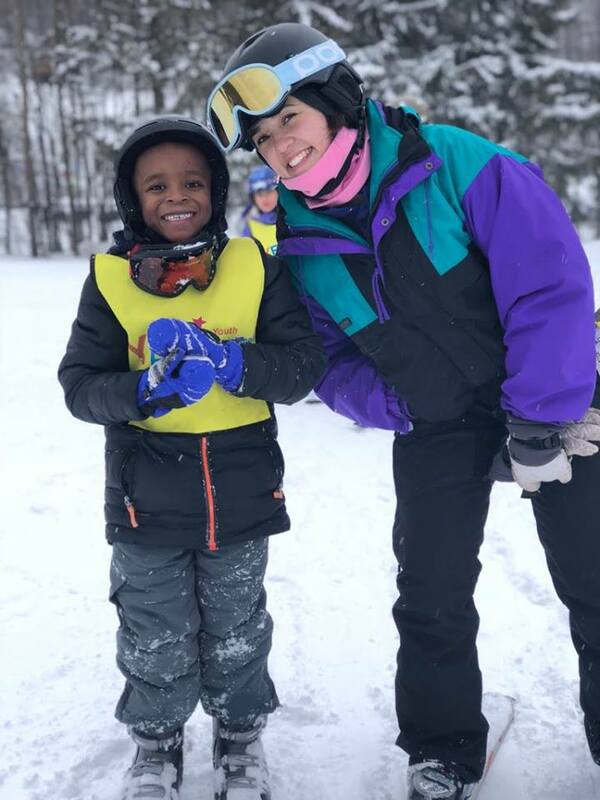 The YES Kids Program is great for novice skiers and snowboarders looking to try something new, have fun, and get acquainted with the slopes. Is your child already in love with snow sports? Do you want them to dive right in? The YETTI Experience involves 4 trips throughout the season for maximum skill practice and plenty of time spent with new friends. Does your child want to learn more about the athletic sport of Cross Country skiing? Our Cross Country Skiing program is a great after school activity for the winter season! Click on the links below to learn more about the programs we offer.